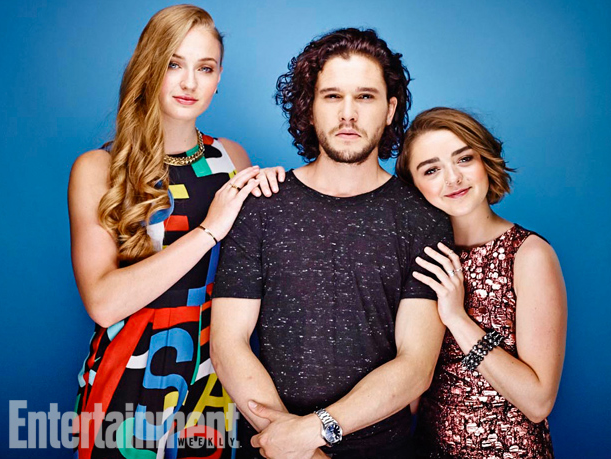 Sophie Turner, Kit Harington and Maisie Williams. . Wallpaper and background images in the game of thrones club tagged: photo game of thrones sophie turner kit harington maisie williams. 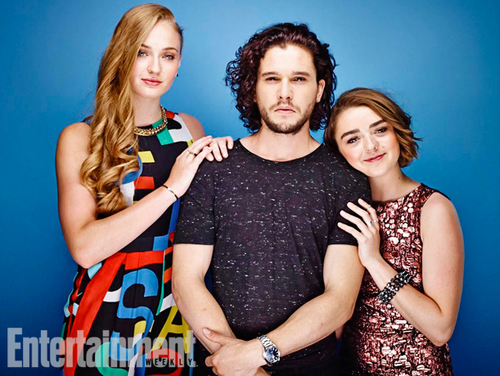 This game of thrones photo might contain celana ketat, baju ketat, triko, unitard, tubuh setelan, cat suit, tubuh setelan jas kucing, pakaian bermain, and playsuit.